I thought I had more crafty things to blog about but when I checked back through my photos there weren’t quite as many as I’d thought. This will be a fairly quick round up, though there’ll be a couple of posts in the next couple of weeks – I’ve recently completely a big knitting project that deserves its own post and I’ve got a set of cross stitches that are waiting to be mounted before I can blog about them. I made this as a thank you for Sarah, the lovely librarian who agreed to let me interview her for my dissertation. She has a pet budgie so I thought she would like this design. 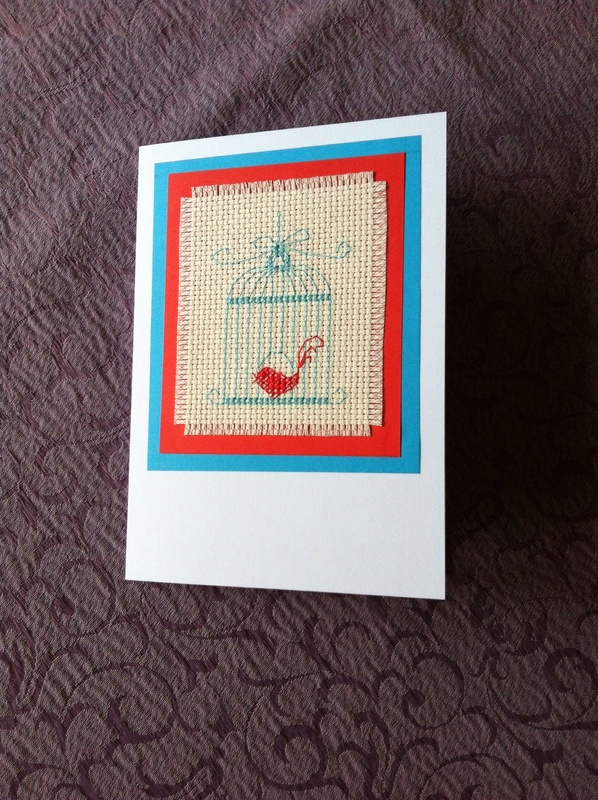 I particularly loved sewing the cage – I really need to do a blackwork style project sooner rather than later. 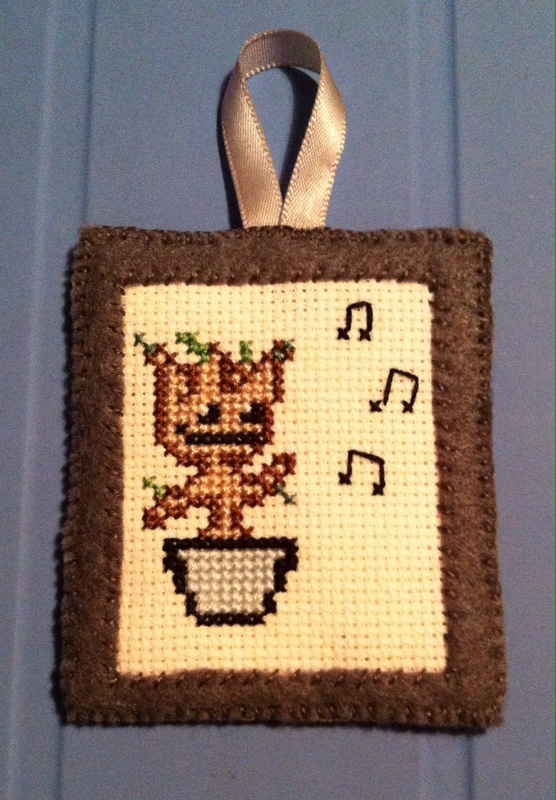 I spotted this on a cross stitch tumblr I follow, emailed the link to Liz because I knew she’d appreciate it to – her response was a request for her own version! I made a slight alteration to a couple of the colours used but other than that the design is as the original. Once I’d finished it I took a while to decide how to present it best – I’m really happy with how the little felt frame turned out though cutting it reminded me how much work I still need to do on my straight line cutting. I made this for my sister-in-law Keeley after she spotted it on my Pinterest board and commented on how cute it was. The design is by the very brilliant Lupin and it made for a very enjoyable afternoon’s sewing. I didn’t have a suitable colour ribbon for the hanging loop so I choose a trio of suitable embroidery silks and used my best friendship bracelet knotting skills instead. This was made for my friend Al’s birthday – he’s a big Studio Ghibli fan. I found a few patterns but none of them were quite what I wanted so I took inspiration from the lot and ended up with this. My pattern drawing skills are still very basic so I was really pleased with how it ended up and the recipient seemed to like it too. Previous Post My Facebook book list. Next Post MG Monday: Archie Greene and the Magician’s Secret by D.D. Everest.